Like many Michiganders, I’ve long thought, poor Detroit. And after its $18-20B Chapter 9 bankruptcy filing in July, the largest municipal bankruptcy in history, it’s literal. Detroit is, verifiably, broke—at least in terms of cash. Detroit has a unique opportunity to reinvest in technology infrastructure. Detroit may be one of the country’s only major cities to experience a dramatic population shrinkage. As a result, it’s blessed with plenty of existing municipal and industrial infrastructure from its mid-century heyday (albeit desperately in need of some love), and there’s good reason for Detroit to leverage existing infrastructure and invest in new technology infrastructure—the kind that supports tech startups—like high-speed fiber optics, cell towers, data center space, and more. It also has an opportunity to invest in technology growth labs and incubators, which is has already begun with TechTown Detroit, which aims to connect aspiring entrepreneurs with capital and partners. Detroit is cheap, DIRT CHEAP. In San Francisco and New York, office space is expensive, rent is expensive, and labor is expensive. Starting a company without existing capital is difficult. In Detroit, it’s the opposite: Detroit has some of the cheapest rents for a large city in the entire country, both for residential and commercial use, and where a software engineer may cost you $150,000+ in Silicon Valley, they may only cost you $80,000 in Detroit. The city can accelerate tech growth by offering tax breaks and other incentives for startups that choose to incorporate in Detroit or move to Detroit from other cities. There are great colleges and universities nearby. Sure, Silicon Valley and New York have excellent colleges. But top tier schools like the University of Michigan and a plethora of small but prestigious liberal arts colleges in the Midwest (shout-out to my alma mater, Kalamazoo College) are turning out highly-educated tech-minded young people. It’s avoiding the “brain drain” that will be the city’s main challenge. But if SimplyHired got it right, maybe that’s not so hard: last year, they named Detroit as one of the best places to find a job in IT. Canada is next door. Why is that important? The US makes it incredibly difficult for foreign entrepreneurs to get visas to live and work in the US. Canada makes it incredibly easy—and Windsor, Canada, is just across the bridge from Detroit. 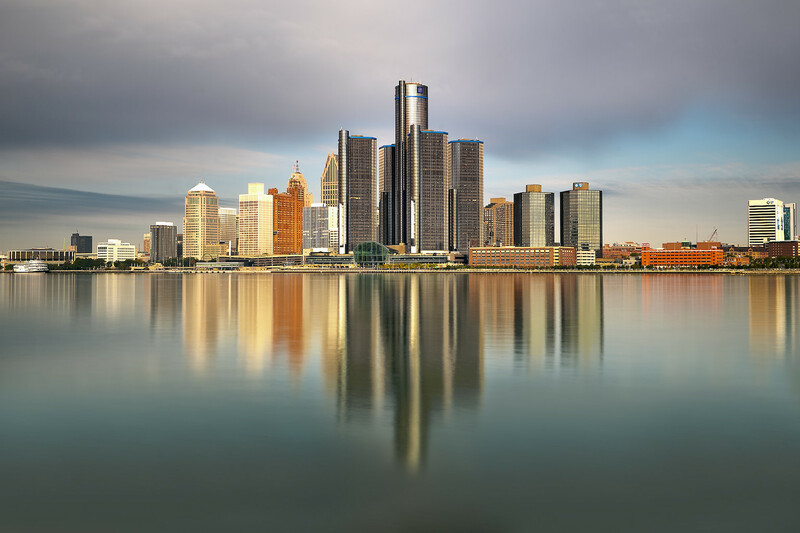 (Sidenote: Detroit is investing in a new bridge between Detroit and Windsor) It’s conceivable that the Detroit tech hub could expand into Windsor to enable US and foreign entrepreneurs to collaborate. Young people are committed to Detroit. Increasingly, young Michiganders are committed to staying in Michigan and helping to rebuild Detroit. There’s a “gritty resolve” amongst the citizens of this metropolis—a can’t get me down attitude in the face of near-constant political and financial adversity and a desire to bring back the glory days. This may, in fact, be the biggest factor in the city’s success. (Plug: read the work of some of these young Detroitizens at Damn Arbor). Detroit was once has always been a shining beacon of innovation: Thomas Edison, who grew up in nearby Port Huron, literally electrified the city before the turn of the century while Henry Ford’s assembly line revolutionized how the world moved. Dozens of successful startups have emerged from Detroit’s ashes over the past several years and if Detroit can avoid the political corruption that has plagued the city for decades and use this opportunity to invest in technology, it might have a shot at being the next big innovation hub—once again!